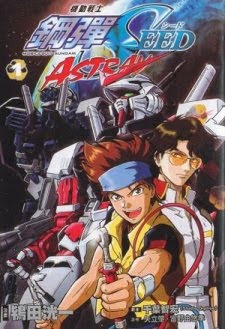 In the first short, Lowe Gear and the Junk Guild make a stop at an mobile suit parts auction on Earth where Lowe purchases a head taken from a modified BuCUE suit which, when attached to the arm of his Red Frame Astray, acts as a dual beam saber. Lowe tries to decrypt some combat data contained in the head, but is shortly engaged by, and goes into combat with, several ZAFT suits including a CGUE DEEP Arms. In the second short, Blue Frame pilot Gai Murakamo engages and, with the help of his fellow Serpent Tail mercenaries, traps a GINN High Mobility Type. He then faces off with the legendary Edward Harrelson, who pilots a Sword Calamity Gundam and has just finished destroying a fleet of ZAFT ships.